Korean run Japanese restaurants are on the rise in Vancouver and I'm happy to have visited yet another (don't forget Sushi and Roll!) one - Sushi Bella! Unlike many of the sushi restaurants here, Sushi Bella has multiple locations in Vancouver, one being the location in North Vancouver not too far from the Lonsdale Pier that my friend and I visited last month. This spot is definitely trendy and modern which I think is a reason why it is such a hit with a a wide variety of customers. Bella's Chef Kabel claims to bring his experience in Japanese, French, and Italian flavours to the menu...so I guess it was our job to experience them. Sushi always starts with a drink so we didn't hesitate to order a bottle of Asahi ($9) as well as a plum mojito ($9) (recall my obsession with umeshu) which was a mix of mint, lime, soda, plum wine, and rum. The mojito was actually more refreshing than I expected which was a perfect match for my equally refreshing ebi sunomono ($4) which arrived literally minutes after ordering. For $4, I was impressed by not only the quality but also the quantity. At many other restaurants, I pay $3 for half the portion of a bowl of leftover ingredients drowned in vinegar. I remember experiencing my first sushi pizza at Kita No Donburi last year and since then, I've fell in love with them. We couldn't pass up the opportunity to not order a sushi pizza, so yepp you know it, one original sushi pizza ($7) for us please! This one came as a neatly fried patty of rice topped with tuna, salmon, masago and chilli mayo. I liked the boldness of the flavours as well as how the "pizza" was not over fried/dry. So of course we moved on to the main part of our meal: sushi. The specialty Bella roll menu had a surprising amount of choices with variety and I was able to appreciate the new combinations. 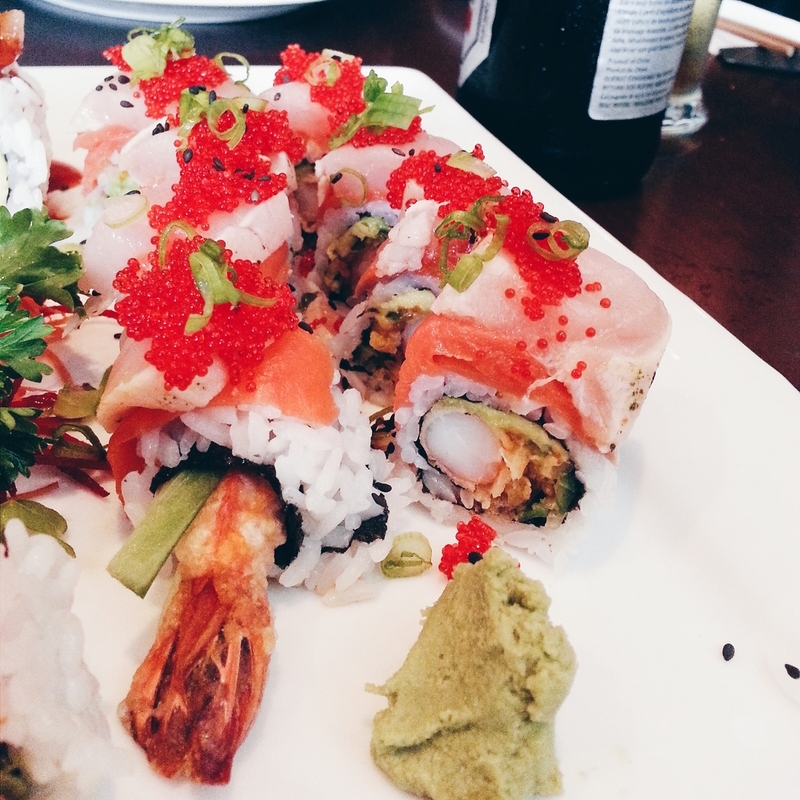 The Dancing Queen roll ($12) consists of prawn tempura, avocado with smoked salmon and tuna tataki on top. Lots of ingredients in every piece but I found the flavour to be a bit lacking. The Ugly Truth roll ($9) on the other hand, was (in my opinion) but more generous with flavour - bacon, asparagus, crab mix with cheesy chopped scallop tataki and bonito on top. Likely my favourite roll of the meal. The Volcano roll ($7) was a California roll topped with chopped spicy tuna and green onions. Great sauce and moderately good roll. I don't think the sushi is really stellar in any way. The star of the show would most likely be the sushi pizza! Not sure if I see Chef Kabel's fusion of Japanese, Italian, and French flavours though.. I didn't find service to be as bad as many of the reviews say it is. Our server was very welcoming and was pretty attentive.